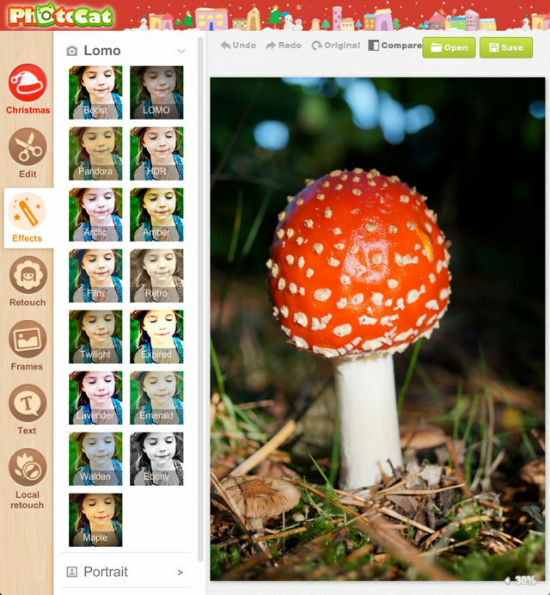 Photocat is a very capable, yet also usable solution for photo editing. Did I mention it is free of charge, too? Especially to celebrate the festive season the creators added to the large feature set and provide you with a special creation to help you christmasize your photos. If you are late as always and urgently looking for a simple tool to aid you in putting together a last-minute christmas card, I advise you to take a look at Photocat now. All others can relax for the time being, but should take a long hard look at Photocat any time soon.